With heavy hearts, the family of Rock Crawford sadly announces their patriarch passed away peacefully at home on April 6, 2017 at the age of 82 years. 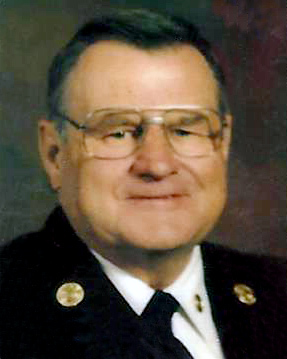 Rock was a lifelong resident of Calgary and proudly served as a member of the Calgary Fire Department, retiring as a District Chief after 37 years. He enjoyed the brotherhood of the firehall and always said there was no better job in the world. Rock was an accomplished athlete in many sports but he loved hockey best. It was a game he played competitively throughout most of his life. One of the highlights of his career was winning the Allan Cup as a member of the Drumheller Miners in 1966, followed by the opportunity to represent Canada in Europe with the team. When not on the ice, Rock spent countless hours volunteering. He strongly believed in giving back to the community and through his involvement with the Fire Department, Elks Club, Chapelhow Legion, Calgary Old Time Hockey Association, Calgary Minor Hockey and Highwood Community Association, his efforts impacted the lives of many. Numerous friendships were formed during these endeavors and Rock valued each and every one of them. He was a good, caring man who was unafraid to speak his mind and we will miss his great sense of humour. Above all, Rock was an amazing husband, father, grandpa, and great-grandpa. He was loved dearly and will be deeply missed by his wife of 60 years, Sherry; his daughter Lynn (Dennis) Rannelli; son Mike (Lee); grandchildren Alison (Mike) Dumenko; Stephen (Catherine) Rannelli; Kristin (Chris) Crawford; Laura (Brett) Crawford; Cassidy (Jorge) Crawford, Ryan (Rickey-Lee) Lutz; and great-granddaughter Olivia Rannelli. He was predeceased by his son Stephen and sister Onilea Crothers. One of Rock’s favourite sayings was “The goalie was tough, the defense were rough: but we’ll be back.” … sadly not this time. A Celebration of Rock’s Life will be held on Saturday, April 22, 2017 at 1:00 pm at the The Winston Golf Club (2502 6 St NE, Calgary, AB). 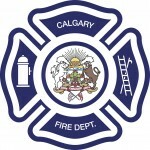 In lieu of flowers, memorial donations may be made to the Calgary Firefighter’s Burn Treatment Society (2234 30 Avenue NE, Calgary, AB T2E 7K9 www.cfbts.org). To Mike and family. So sorry my friend. Being your training mate and friend I got to know your Dad on many different levels. I got to play hockey with him and work with him. He treated me as an equal on the ice. He said there was no rank in the dressing room. A sentiment which I passed on. There are lot of memories. You have my condolences Mike. Please pass them on to the rest of your family. Take care. It is always hard when our heroes pass on. Rock was a great mentor for me, a confident but most of all, he was my friend. We shared a birthday and for many years one of us would call the other on that day, just to chat. I really regret now that I did not make that call last year. Rest in Peace and wherever you are, stay out of the penalty box. I’ll miss you my friend. So sorry to hear about your dad Mike! He was a good man and a friend to many. He is at rest now. Pass our condolences on to your family. Call if you need anything. Mike so sorry to hear about Rock! Rock was a mentor to a great many guys who passed thru a dressing room or the Firehall. There are lots of good memories from both places. My condolences to you and your family. Rest in peace my friend. Many great memories. Condolences to the family. We are extremely saddened by the news of Rock’s passing. We pray that the wonderful memories of Rock ease the pain of his loss. His amazing sense of humour and happy disposition at our family gatherings will always be in our memories. Thinking of you Sherry during these difficult days. We were so sorry to hear of Rock’s passing. We really enjoyed spending time with Rock. It was a sincere pleasure to have played hockey and slow pitch with him! He always had a smile and a laugh, except maybe sometimes during the game!! Our condolences. I was sorry to hear of Rock’s passing. Condolences to the Crawford family. Rock was a wonderful man and great Calgarian! We, at Hertz, are honoured and blessed to have worked with Rock. Our deepest sympathies goes out to your family. We had the good fortune to know Rock in our teenage years growing up in and around the Highwood neighbourhood, through hockey and eventually the Calgary Fire Department. Rock was a force to be reckoned with. Hockey Heaven won’t know what hit them!! We will remember his hardy laugh, warm smile and the knack to make everyone feel comfortable. He will be missed by many. We hope it helps in some small way to know friends are thinking of you in this sad and difficult time. Our deepest sympathies go out to the Crawford Clan.